Available in 4" direct thermal (PC43d) or 4" thermal transfer (PC43t), the Intermec PC43d / PC43t is designed to set a new standard in user friendliness and flexibility. PC43d / PC43t features a multi-language LCD or Icon-graphics user interface for maximum ease of use. User-installable connectivity options and accessories ensure that PC43d / PC43t will fit your business needs both today and tomorrow. 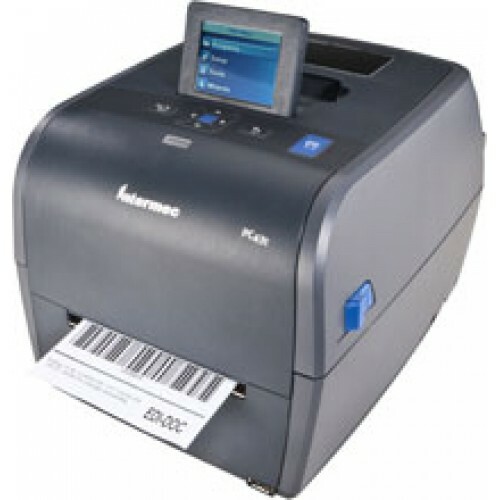 Its low cost and fast operation make the PC43d / PC43t the smart choice for light-duty labeling applications where users need a reliable, easy-to-use printing solution.